Mike Coykendall - Crazy in Kansas from Mr. Fly on Vimeo. Mike Coykendall - The Hippie Girl (ft. Zooey Deschanel, Eric Earley & Ben Gibbard) from Mr. Fly on Vimeo. Mike Coykendall - I'm So Lonesome I Could Cry from Mr. Fly on Vimeo. 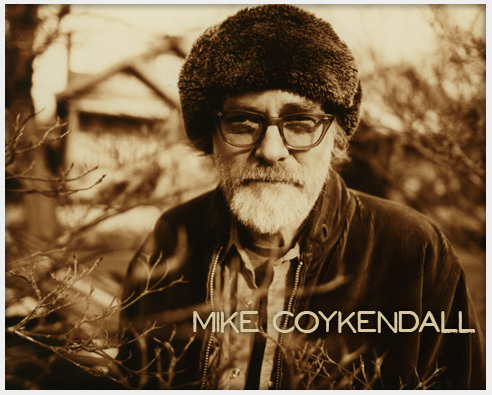 Mike Coykendall - Flatlands from Field Hymns Records on Vimeo. Mike Coykendall - Where the Wind Don't Blow from Mr. Fly on Vimeo. Mike Coykendall - Scarecrow (written by Syd Barrett) from Mr. Fly on Vimeo.